There’s a nice honeymoon period of social media advertising where the clicks are many and the costs are low. But every campaign is bound to fatigue, and in this blog, we’ll explain how you can rise above the adversity. The more users see your social ads, the less effective they become. Even if they do click them, you’ll have to pay more in the end. A tell-tale sign of social media advertising fatigue is a sharp rise in the cost-per-click metric. There’s no real way to avoid social media advertising fatigue altogether. If you run ads, users will eventually see them more than once before you change your creative. Changing your creative quicker than this will likely be too expensive. Waiting any longer will make your campaign more susceptible to fatigue. In addition to changing your creative, you can also change the format of the ad. 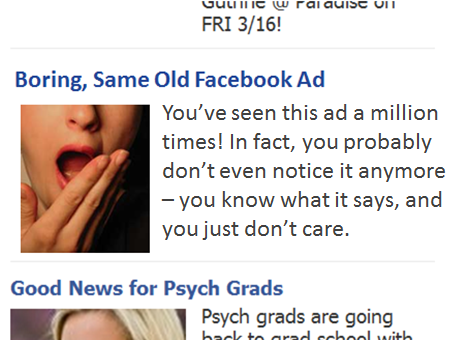 Platforms like Facebook give you multiple options in this regard so you’ll never really run out of ideas. Changing a few elements of your ads can help you squeeze a little more value out of your creative. This should help you save money in the long-run since you won’t need to create as much new creative. 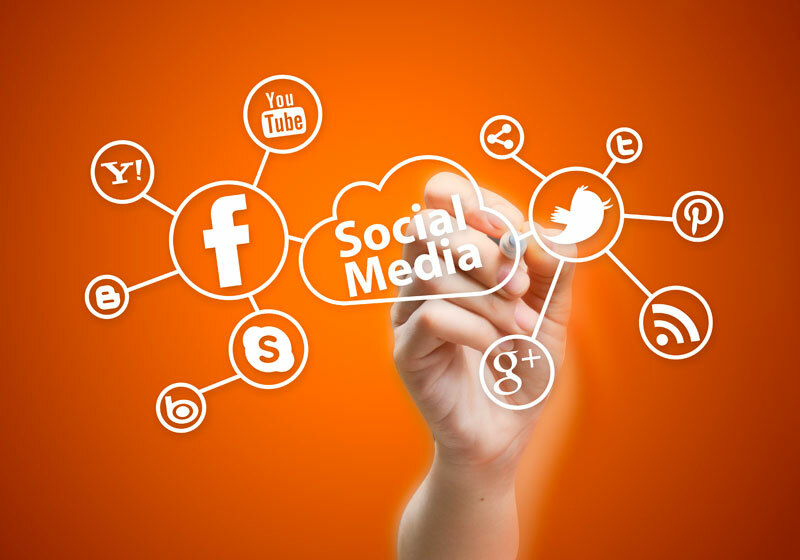 To talk more about social media advertising, or anything else, contact us today. Your response shows potential customers how your business deals with complaints. Some refer to them as haters. They usually make you want to fire off a quick response in return because they’ve evoked negative emotions. 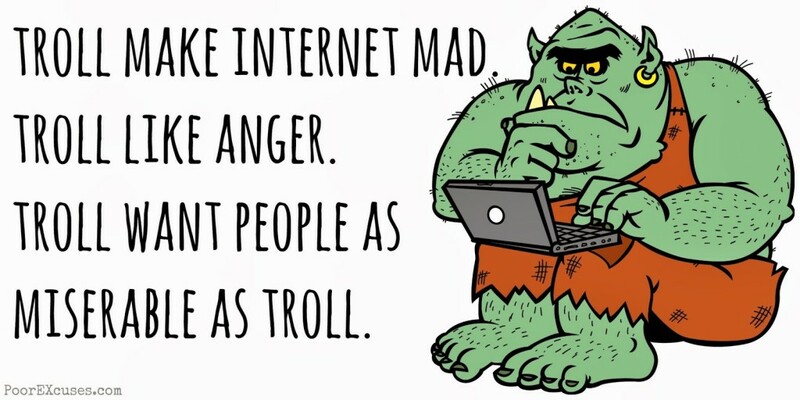 A social media troll is one who deliberately posts negative comments or reviews to provoke others. Whether true or not, their intent is to cause trouble in your social media communities. Customers are looking for reviews to see positives as well as how a business responds to complaints. The way you react to trolls can impact your reputation. Here are a few tactics to keep in mind. It’s important to always engage with a comment, whether it is positive or negative. A response shows that you took time to try and find a resolution. In your response repeat back what the customer is posting about. Is the complaint about your company or product factual? Show the customer that your products or services have a reputation. Don’t place blame on an employee or situation. Take ownership of the complaint. An offer is usually the easiest way steer the complaint towards a position outcome. This doesn’t have to be extravagant, a simple $5 gift card can often make a customer happy. If you feel the complaint is fraudulent don’t be afraid to ask for proof of the complaint. You loyal fans will see this complaint for what it is and support your actions. There’s no way to completely stop negative comments or reviews, but using these tips you can help you keep them under control should you find yourself going head-to-head with a troll on your brand’s page. The first step in social marketing is to choose the right social platform to market your business. Even if you plan to use two or three different platforms, you still need to choose the ones that suit your company the best. What works for one company may not work for you. Therefore, you have to determine which one to use based on your specific needs. You need to go where your customers/clients are! A good place to start is with your targeted audience because different age groups are attracted to different social media platforms. If you’re targeting another business, LinkedIn may be your best option. Consider what type of content you’ll be posting most of the time and this will also help you choose the right platform. Instagram or Pinterest are excellent choices for restaurants because of the visual effect you can achieve with photos while YouTube can work for almost any type of business. The reason for using social media will also determine which platform to choose. For example, if you want to enhance brand awareness, Twitter is a great option but Facebook may be a better choice if you’re interested in getting consumer feedback. Choosing the right social media platforms for your business will help to ensure you get the most from your marketing efforts. You know that you need social media for your business but there are so many options. Where do you begin? How do you ensure you are getting the benefits you need without busting your budget? How do you make sense of all the different things this expert or that expert say you need? Don’t worry. You are not alone. Social media can be a real jungle and if you’re not careful, it can also be a money sink. But the cold, hard facts prove that social media works. When you have a solid social media strategy and the right resources to implement it, you can gain a great deal for very little investment. It all begins with the right plan. This is where social media coaching can help. No matter where you are in your journey – launching a new campaign, creating a strategy, improving an existing strategy or even overhauling your entire social media process – a coach can help. 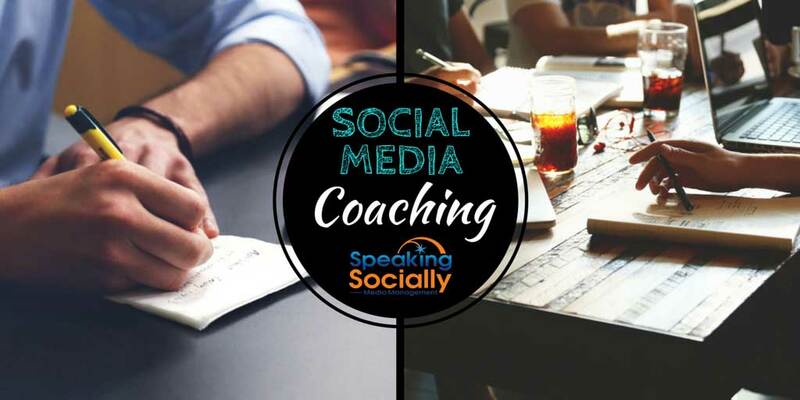 How a social media coach helps you will really depend on where you are in the process and what your personalized needs are. In fact, that’s really the main point of a coach: having someone who can give you a personalized, expert opinion and advice on things. You can read generic info for yourself online and from books but when you need more than that, a coach is a great option. If you are seeking a social media coach or have questions about the coaching process, contact us today! 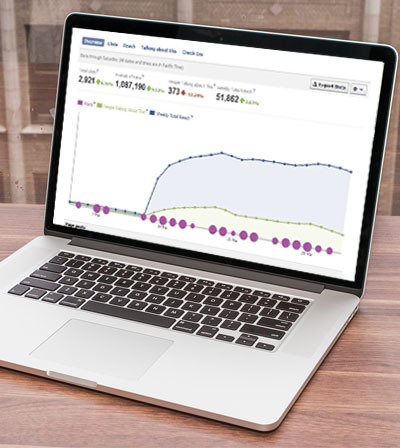 Ever Wonder…What are Good Facebook Statuses for Your Page? Even the most skilled Facebookers start to fumble when it comes to posting a good status on a business page. The same status that might earn you 20 likes on a personal page will earn a big ‘who cares’ on a business page. Even though it’s a lesson most people don’t investigate, if you are a business owner, you need to know how to craft good Facebook statuses for your business page. Share Business Milestones. Don’t post about reaching a certain amount of likes. Nobody cares but you and your social media manager. Instead, post about new products or services. Post about moving locations. Post about any milestone that you believe your audience will find interesting. Avoid sharing sales numbers, unless your brand is built on teaching people how to make money. A real crowd pleaser is when you post a picture of your staff doing something interesting, or post a picture of the latest employee with some interesting tidbits about them. Post Interesting Facts. Interesting facts are Facebook fuel. People love sharing new information that they found interesting and intriguing. However, you must make sure that the fact / information is true. Posting a made up fact or something that is found out to be false will greatly damage your reputation and authority. Do some research and link to your source to minimize any repercussions. Bonus points for creating a branded image or meme out of the fact. Images reign supreme on most social networking sites. Monitor Feedback. This is perhaps the most important step in crafting good Facebook statuses. Monitor your comments, likes and shares. See which posts were most engaging and which posts were barely seen. You may discover that the above tips don’t even work for your audience. Keep exploring and keep experimenting. One of the biggest mistakes you can make when managing your Facebook page is to think you have it “dialed in” and you stop taking risks. Keep it fresh. Constantly try to “surprise and delight” your fans and followers. If you continuously monitor feedback, you’ll learn how to craft amazing statuses for your business. It’s not impossible to post engaging Facebook statuses for your business. It will take time, effort and regularity. Consistently post something new and see how people react. Then, adjust your future efforts from there. In less time than you think, you’ll have cracked the code to your perfect Facebook status. 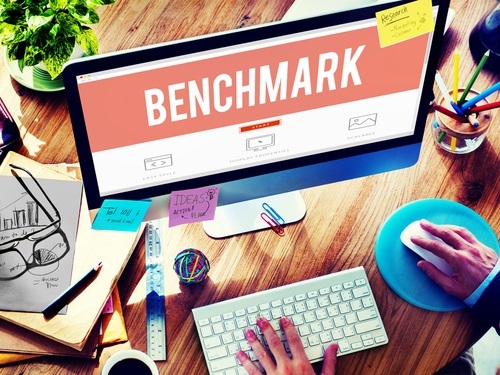 Social media analytics provider Quintly arrived at some benchmarks for social media managers in the second quarter of 2015 for Facebook, Instagram and Twitter. Due to the uniqueness of every social network, we split the study in Facebook, Instagram and Twitter. To make the comparison easier, we chose the same metric three times within the infographic across all three networks. With this in mind, you are able to compare the number of posts and see the amount of interactions as an average. To make the numbers applicable for everybody, we clustered profiles in different-sized groups dependent on their fan or follower count. The average page posts twice per day. That number fluctuates in a big way, depending on page size: Pages with 1,000 or fewer likes post an average of eight times per month, while those with 1 million or more post 229 times. Links and photos were the most popular post types, with photos generating the highest interaction. Accounts posted an average of once per day, with that figure doubling for those with more than 100,000 followers. The interaction rate for photos and videos was roughly the same. Pages with 1,000 or fewer followers averaged 23 interactions, while those with 10 million or more averaged 570,000 per post. Posts received 29 times more likes than comments. Accounts tweeted an average of five times daily. Profiles with 100,000 or fewer followers rarely used replies to interact. Pages with 1,000 or fewer followers averaged four interactions per tweet, with favorites accounting for 1.25 times more than retweets. They happen every day, but taking a look at some of these mistakes can help your business avoid them. Remember, always review and think of potential double meanings before you post. Have you ever wondered if your social media and content marketing strategies were the best they could be? Social media and content marketing, you see, are always changing. There are few “right answers” and best-in-class strategies for capturing leads and converting followers into customers. Instead, half the battle is using your gut to find what works best for your brand, budget, and style. To help, we decided to compile these “I might be doing this wrong” tips to avoid common marketing pitfalls. A lot of businesses on social media (Facebook, Twitter, etc.) 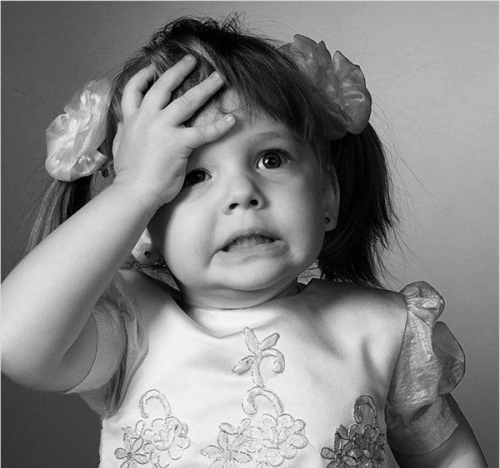 are so overwhelmed with creating content they forget to interact with their followers. Followers are the ones who actually promote your content, too, because each like, share, and comment boosts your post’s (on Facebook, of course) visibility. To optimize your follower engagement, you need to check Facebook a few times a day and answer any comments and re-share and like content your followers may have posted. The same goes for blog comments. Consistency is key on social media and blogs. This is the only way to bring back repeat readers and eventually turn them into leads. To stay consistent, the best advice we give our clients is to follow an editorial calendar. We create these ourselves, too, and provide clients with social media content we post throughout the week. This ensures that your channels are active and your brand is always showing up on newsfeeds. Publishing content that is just “OK” is a bad idea. Not only does this risk the chance that followers may be displeased, it makes your brand look bad. This is why it is crucial to work ahead on editorial calendars and to create engaging, informative content. Another flaw unexperienced business marketers make is to stretch themselves thin. This often happens if you are trying to engage customers on every level through multiple platforms. But when you think about it, isn’t it better to emphasize two or three marketing strategies rather than five or six? This is why we encourage our clients to focus on only a few platforms like Facebook, WordPress, and Twitter. It is much easier to stay organized this way, too. One of the leading reasons people give up on online marketing is when they don’t see results. The thing to remember is that it takes time and a lot of patience, especially when it comes to blogging and social media. In the beginning, it’s often best to think of social media and content marketing as building blocks. Your first goal should be to build up a base that will later allow you to launch bigger, further-reaching campaigns that actively convert followers into customers.